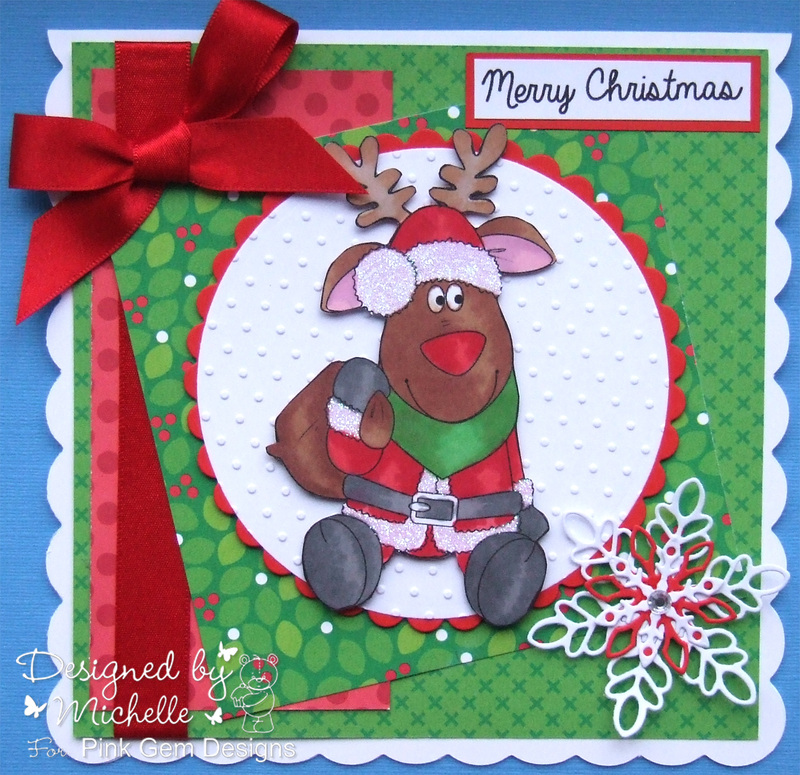 It's Michelle here from Laughing Ducks blog and I thought I would share this cute new digi stamp with you all. It is called Santa Jingles and you can find it here. I have coloured Jingles in with ProMarkers. I have used a Memory Box die set to make the layered snowflake and my papers are Doodlebug. The gorgeous red ribbon is from the Ribbon Girl and the sentiment is computer generated.